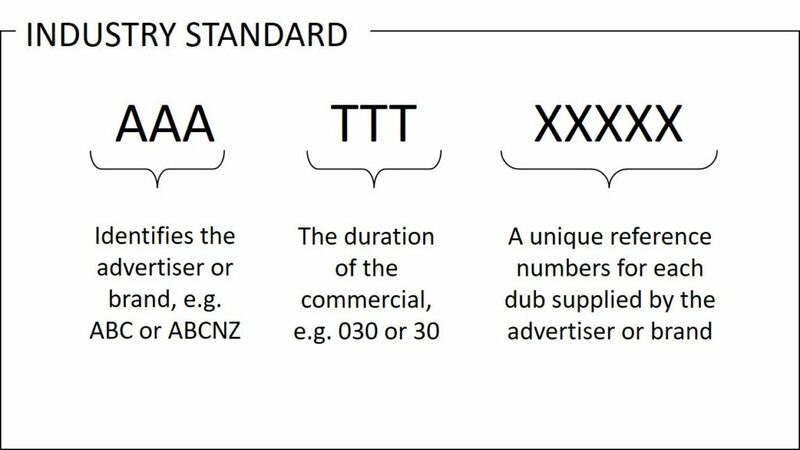 All key numbers should follow the advertiser/duration/unique reference format (e.g. ABC 030 0001 and ABC 015 0002). This ensures that the advertiser and duration are easily identifiable and that no two dubs from a single advertiser will ever have the same last four digits.